PLANET’s FGSW-2840 is a 24-port 10/100Mbps Fast Ethernet Switch with 4 Gigabit ports and 2 combo 100/1000X SFP interfaces. 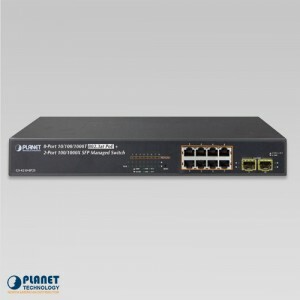 Planet’s GSD-1020S is an 8-Port Gigabit Managed Ethernet Switch with SFP interfaces specially designed to build a full Gigabit backbone to reliably transmit and forward data to remote network through fiber optic. 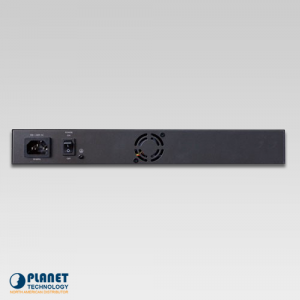 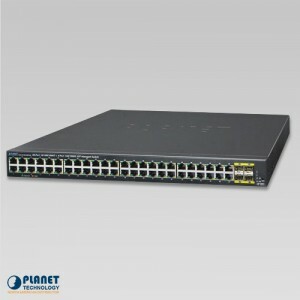 Planet Technology’s GSD-1002M is an 8-port 10/100/1000Mbps + 2-port 100/1000X SFP Managed Desktop Switch especially designed to build a reliable, full Gigabit backbone to transmit and forward data to remote network through a fiber optic connection. 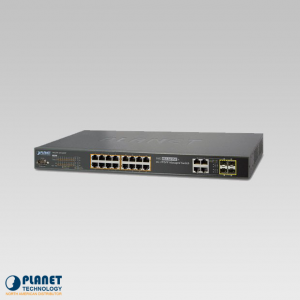 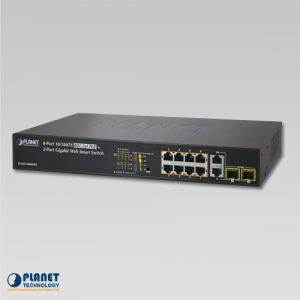 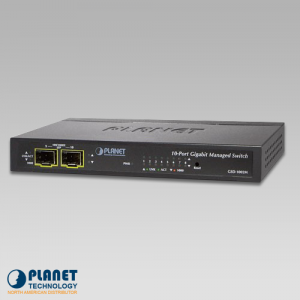 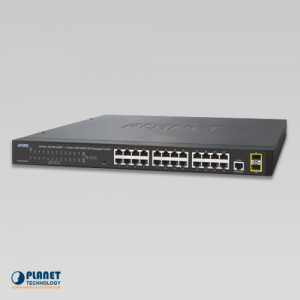 PLANET’s GS-4210-16T2S is an ideal Gigabit Switch which provides cost-effective advantage to local area network and is widely accepted in the SMB office network. PLANET’s GS-4210-24T2S is an ideal Gigabit Switch which provides cost-effective advantage to local area network and is widely accepted in the SMB office network. 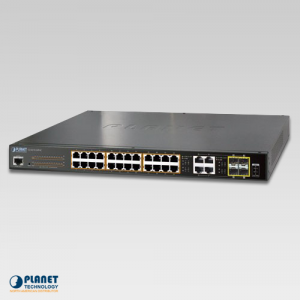 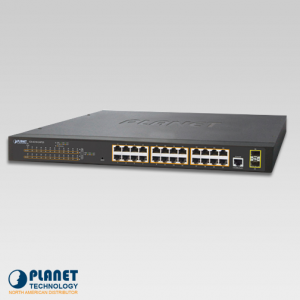 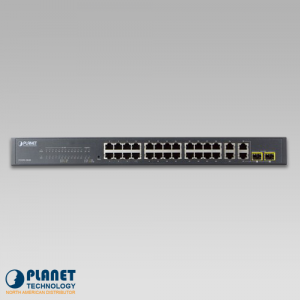 Planet’s GS-4210-48T4S Gigabit Managed Switch is perfectly designed for SMB and enterprise network infrastructures. 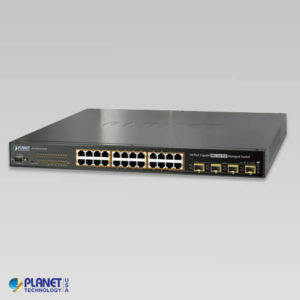 The WGSW-24040HP is a 24-port managed switch with PoE capabilities. 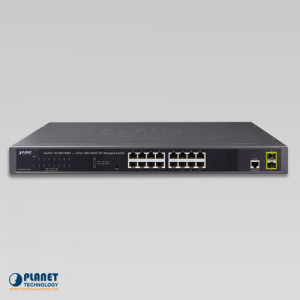 The WGSW-24040HP4 is a 24-port managed switch with PoE capabilities. 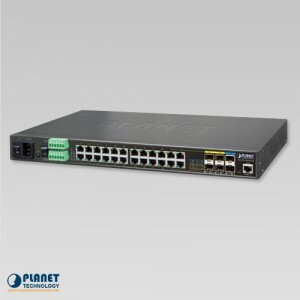 Planet’s GS-5220-8P2T2S is a Layer 2+ Managed Gigabit Switch, which supports both IPv4 and IPv6 protocols and Layer 3 static routing capability. 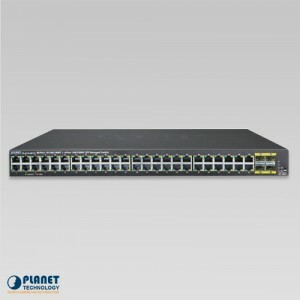 Planet has launched a new-generation Stackable Gigabit Switch solution, the SGS-5220 switch series, to meet the needs of enterprises, telecoms and campuses for a large-scale network deployment. 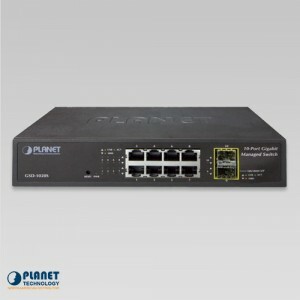 Planet’s GS-4210-48P4S is a cost-optimized, high-density PoE+ Managed Gigabit Ethernet Switch featuring Planet’s intelligent PoE functions to improve the availability of critical business applications. 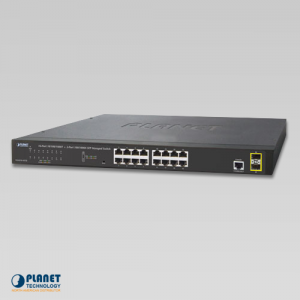 The GS-4210-24P2S is a 24 managed Switch with PoE capabilities. 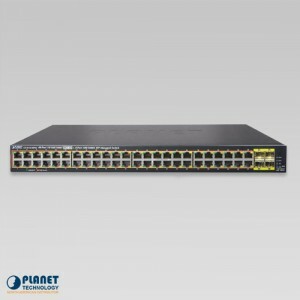 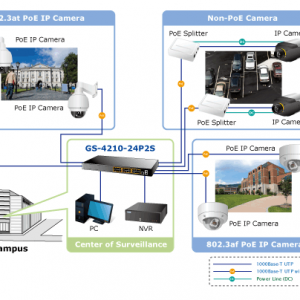 The GS-4210-8P2T2S is a gigabit Ethernet Switch with PoE capabilities. Planet’s GS-4210-8P2S is a cost-optimized, desktop-size Managed Gigabit PoE+ Switch featuring Planet’s intelligent PoE functions to improve the availability of critical business applications. 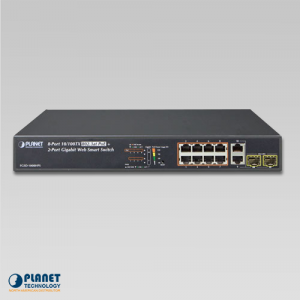 The FGSD-1008HPS provides cost-effective, non-blocking wire-speed performance and intelligent PoE functions along with 8 10/100BASE-TX ports featuring 30-watt 802.3at PoE+ with RJ45 copper interfaces and 2 Gigabit TP/SFP combo interfaces, supporting high-speed transmission of surveillance images and videos. 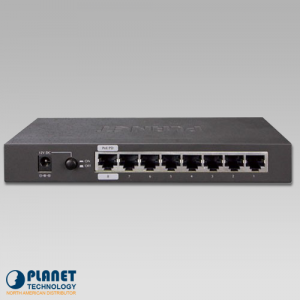 The FGSW-1816HPS is a 16-port Web Smart Ethernet Switch with PoE capabilities. 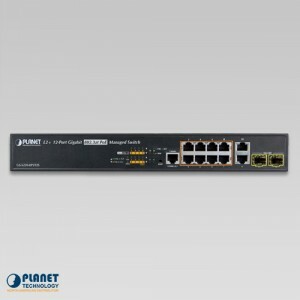 The FNSW-2400PS is a 24-Port Web Smart Ethernet Switch with PoE capabilities. 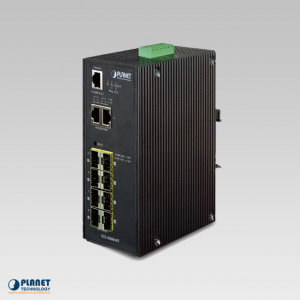 The IGSW-24040T is highly immune Modbus TCP Industrial Managed Ethernet Switch that features a compact design, high Port-density and Gigabit Fiber link ability. 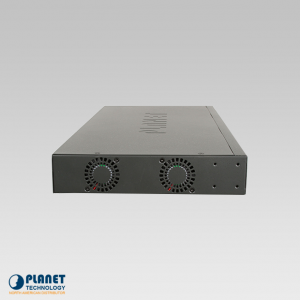 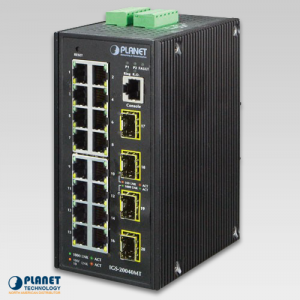 PLANET’s IGS-20040MT is a Modbus TCP Industrial 20-port Full Gigabit Managed Ethernet Switch. 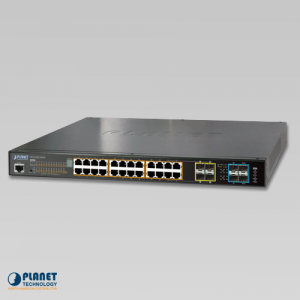 The IGS-10080MFT from Planet Technology is an Industrial 10-port Gigabit Managed Ethernet Switch.